With the big two “Not Rebooting” their universes after their respective events I wanted to put together a list of books I would like to see get reboots. I mean let's face it books come and go pretty quick sometimes. And it seems that a lot of the books I really like are the ones that go the quickest. Often because the publishers don’t give them enough time to let them develop and grow an audience. So here are the books I would like to see get relaunched for new readers to experience. I know that DC did a really weak job during the New 52. So it wasn’t a surprise that it was cancelled after a pretty short run. But in it’s original run under the Wildstorm banner Team 7 had three great 3-4 issue mini’s. Not to mention that the events of the Team 7 books were the foundation of the entire Wildstorm Universe. I would like to see DC let Wildstorm have it’s own separate universe again. And a new run of Team 7 with updated takes on all of the original members is the perfect way to restart it all. Make the formation of the team be based in Desert Storm or some other more recent conflict and during a mission that they aren’t fully briefed on they get either experimented on or accidentally exposed to the alien technology that will change their lives forever and lay the groundwork for other books like Wildcats to get relaunched as well. 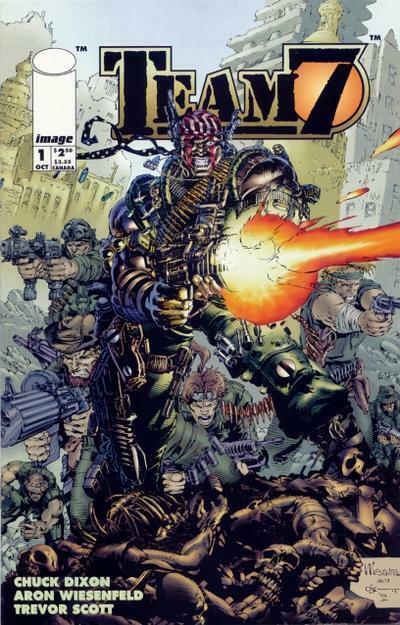 It would be great to see Chuck Dixon return to write the series that he wrote in it’s original incarnation. But I would also really like to see a writer like Nathan Edmonson get a real chance with the title. Edmonson’s work on The Activity shows that he has a real talent for doing espionage books that are grounded in reality with aspects of sci-fi/fantasy weaved into them. As for art Mitch Gerads works really well with Edmonson and his style really brings the hard-boiled side of war out nicely. 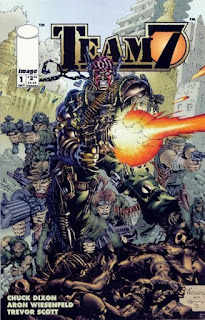 But it could be interesting to see a new up and coming artist get the chance to run with what I see as the flagship book for the rebooted Wildstorm universe. 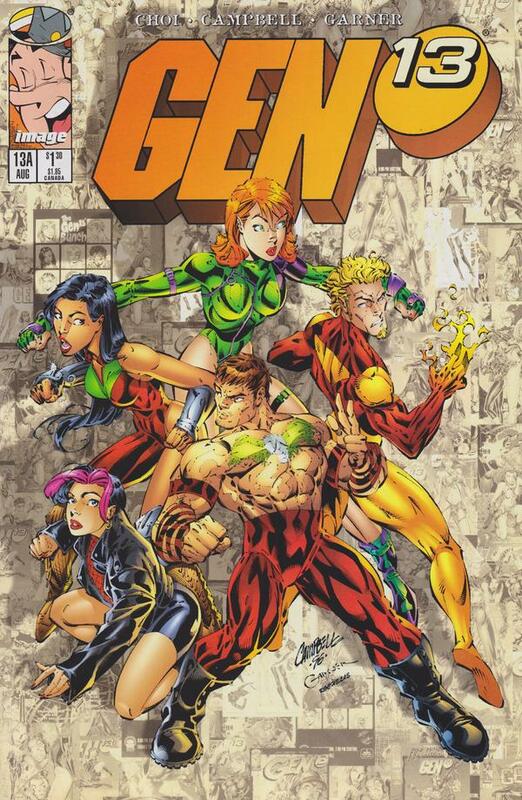 Gen 13 is another great book to come out of the Wildstorm Universe. The members of Gen 13 have made appearances in the New 52 separately, but the closest the team came to being together was when DC launched Ravagers coming out of The Culling event. However just like with Team 7 the characters were mishandled and the book was quickly cancelled. A book about a group of teenagers who are not only going through the most awkward moment in their lives because they are teenagers, but are suddenly uprooted from their normal lives to be put isolated and watched by a secret government agency. All because they are descendants of the members of Team 7. 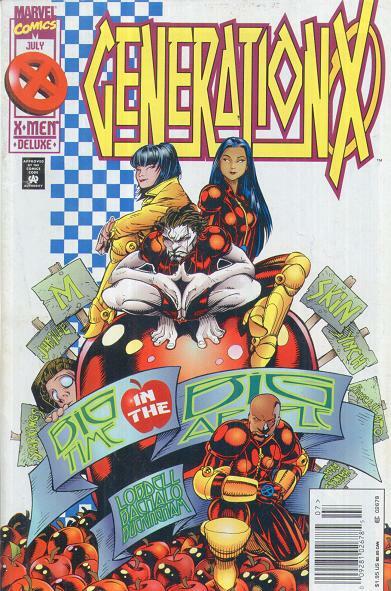 Gen 13 could find a great success among younger readers, which is a market that is really getting forgotten recently. 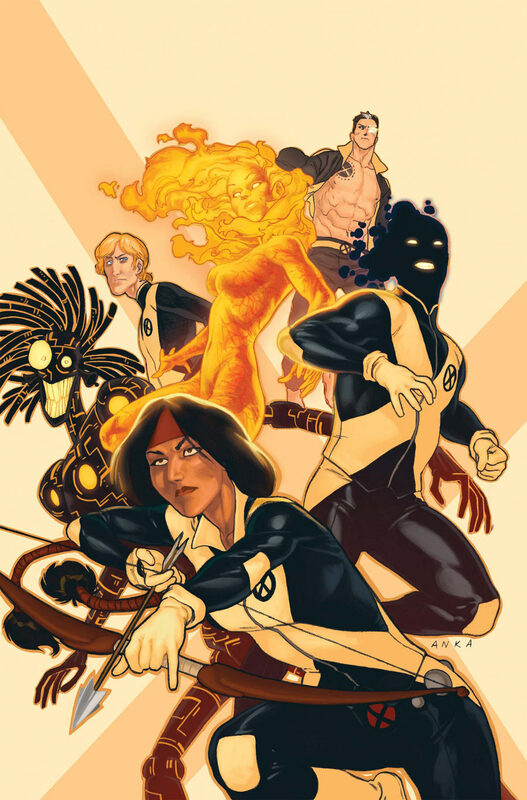 Because Teen Titans seems like a lost cause and New Mutants has been on the shelf for a couple of years now comics needs a teenage team that can deliver to that market to bring in more new readers. 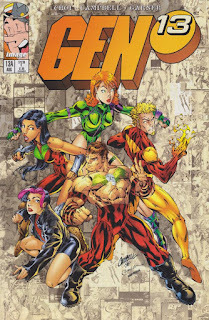 If I were to get to put together the creative team for a relaunch of Gen 13 I would want to see Dennis Hopeless of Avengers Arena fame get the nod to write it. Hopeless knows how to write teenage characters struggling with the choices involved in being a metahuman and a teenager. And with the strength of a writer like Hopeless that knows how to handle the subject matter Gen 13 could be a strong addition to the current comic landscape. I agree it’s a little ridiculous that Betty Ross became a Hulk. 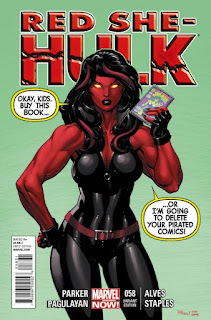 But when Jeff Parker’s run on Hulk that focussed on Thunderbolt Ross as the Red Hulk got repackaged as Red She-Hulk he made her into a strong character. And what’s even more surprising is that Parker made me not so bothered by the fact that Betty was experimented on by her father and made into a Hulk. The real tragedy is at the end of his run Parker set up the groundwork for a team being put together that I really wanted to see more of. If Marvel were to resurrect Red She-Hulk I would want Jeff Parker to continue what he started and see what he had planned for Betty and her group of allies. I feel there was a lot of potential in the team he put together and I would love to see it met. As for who should accompany Parker on this adventure and bring it to life I really like the way that Gabe Hardman and Jeff Parker collaborate to make the books they work on even better. 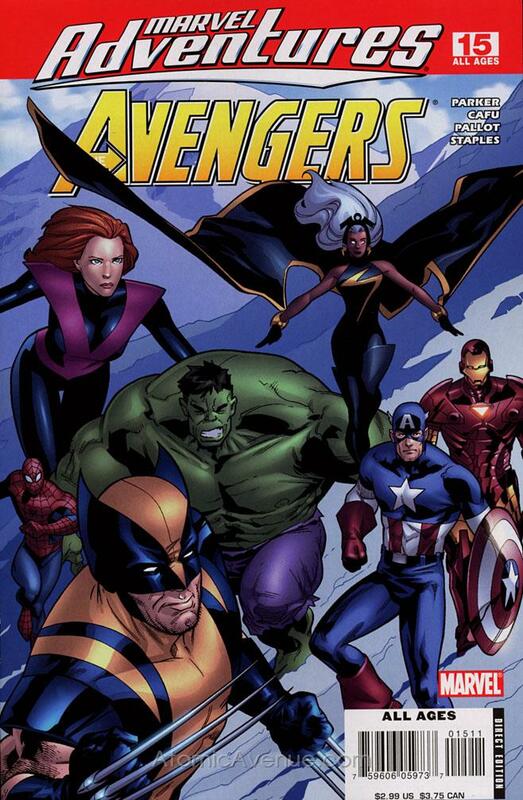 I know that Marvel Adventures is a line of comics, not a single title. But the Marvel Adventures line was a high quality all ages line that was also the launching pad for writers like Jeff Parker. And it could be once again. Relaunch the line and bring on some writers and artists that are still trying to break into the industry and allow them work on some of the top characters in out of continuity storylines. Either one of these titles would work for what I would like to see Marvel try. There is a large group of teen superheroes floating around the 616 that aren’t getting used. I would like to see either of the names used to start a new team lead by Jubilee, Danni Moonstar, and Nathan Grey. I think these three former teen heroes could teach a new batch of kids a lot about balancing being a hero with being a teenager. As for the team they would lead. I would like to see characters like Quentin Quire, Edi, Anachronism (preferably with a new name), and characters of that kind get their chances at being on an official team. And with the right writing team it could really shine. Those are some of the titles that I would like to see dusted off and given another chance. But I know there are probably a lot more of books out there that deserve another shot. I look forward to hearing what books you want to see again. Thanks for reading my article. If you have any comments, questions, or suggestions please leave them in the comment section. And as always…. Keep Reading Comics Fans!!! !